Congratulations to this years Pot O’ Gold winner, Robert Bressler! 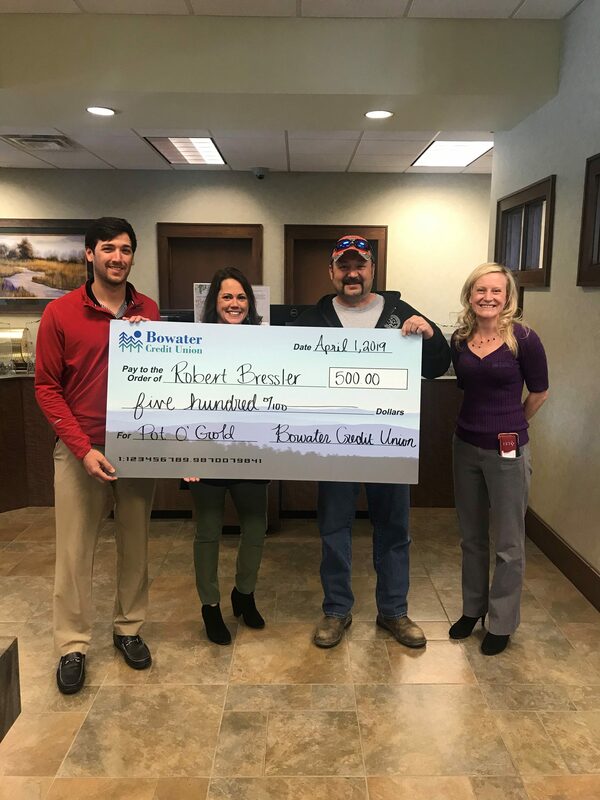 After hearing good things about Bowater Credit Union for years, Mr. Bressler decided to give us a shot and has now been with us for several years. When asked what he would do with the money he quickly said, “take my wife out to a nice lunch”. What a sweet answer. We sure do hope they had a great lunch! Did you know with our Gold Interest Checking Account you are automatically entered into our yearly “Pot O’ Gold” drawing? Gold Interest Checking is our free interest checking account for members age 50 or better. To learn more click the button below.